The U.K. introduced a 5 pence Plastic Bag Tax in 2015 to reduce the amount of plastic waste generated from the country’s consumers. Since then, there has been a reduction in the number of bags issues by 85 percent. This has led to government plans to not only increase the tax to 10 pence but to apply to ALL Retail brands. Previously, all brands with less than 250 employees and those who were service only, such as take-aways and dry cleaners had been exempt. It remains to be seen the full extents of the increase, but it is already been described a “profiteering”. 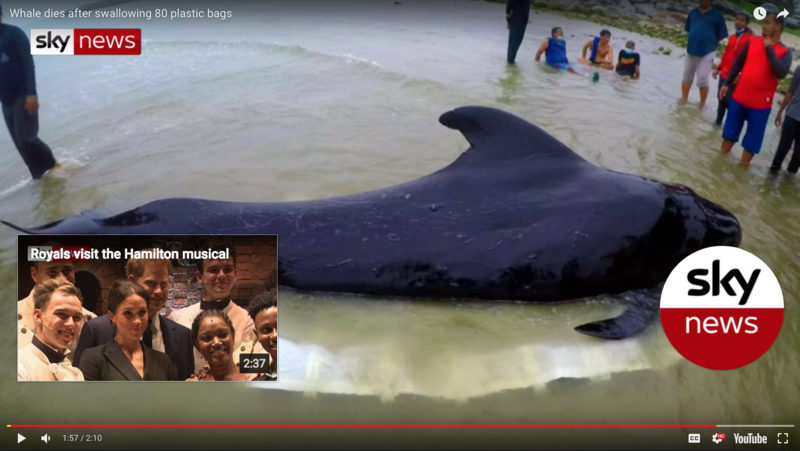 But when you consider the implications of plastic waste contaminating the oceans and recent reports of a Whale’s stomach containing 30 plastic bags, an additional 5 pence and a change in human behaviour by taking ‘bags for life’ to the supermarket, perhaps it’s a small price to pay.